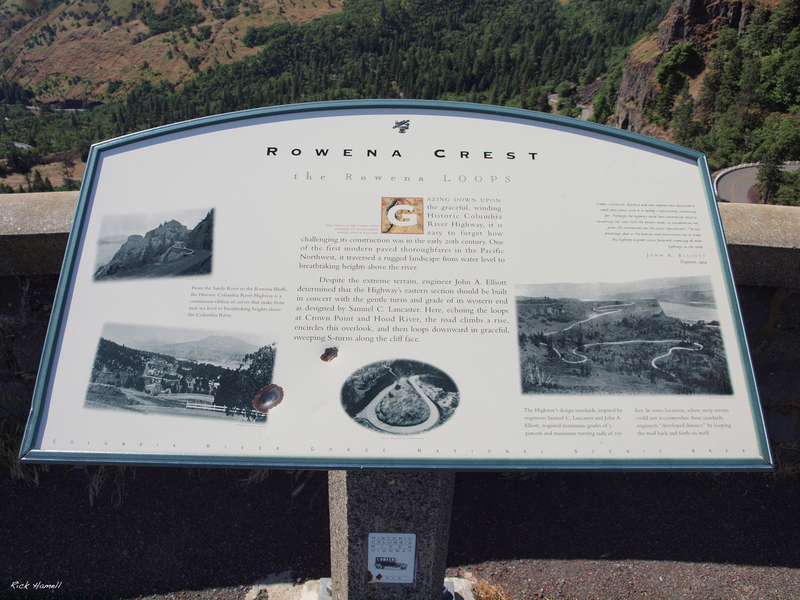 Rowena Oregon exists only as a suburb of The Dalles now. 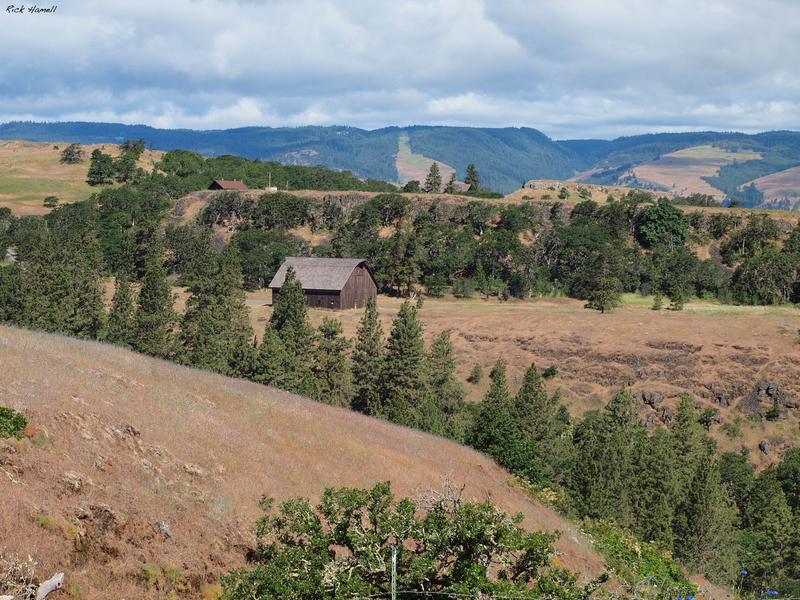 Located on the Mosier-The Dalles Highway, or the old Columbia River Highway, it was little more then a stop on the way between the two cities. A ferry crossed the Colubmia River to Lyle, Washington at one point, but it’s start and end dates are unknown. Oregon Post Offices 1847-1982 by Richard W. Helbock says that the Post Office which opened July 7th 1911 and closed November 15th, 1916 was named after Henry S. Rowe who was a former mayor of Portland and served on the board of the Oregon Rail and Navigation Company. In his venerable tome, “Oregon Geographic Names,” Lewis A. McArthur tends to lean towards this origin of the name, but also mentions that he was told it was named after a local young girl. 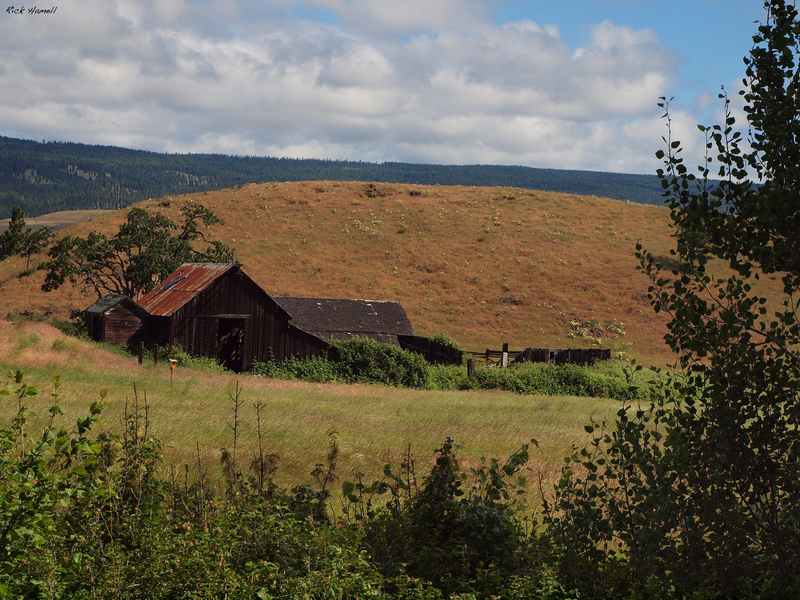 Outside of town to the west is these two neat barns. One is obviously still used, the other looks long abandoned. 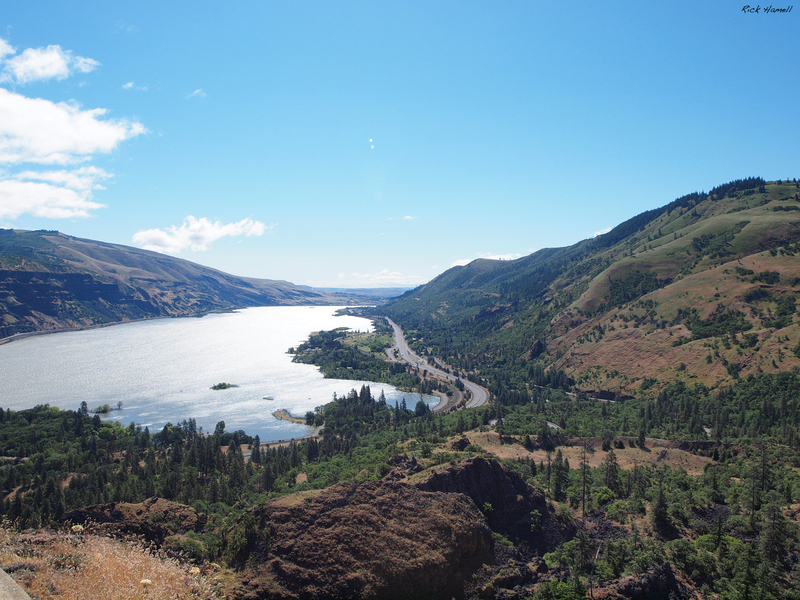 From the top of the nearby lookout, the mighty Columbia River. 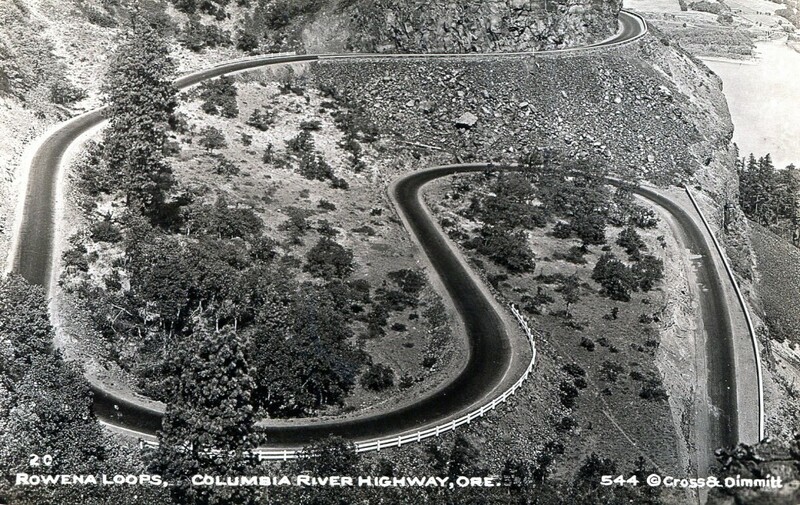 And then one of the area’s most distinct features – the “Rowena Loops.” This was such a popular attraction that vintage post cards were created to show it off. The area is still popular in the Spring months for the abundant amount of wild flowers that grow here. It is also a great hiking spot to the top of the bluff. You can see it hasn’t changed much! 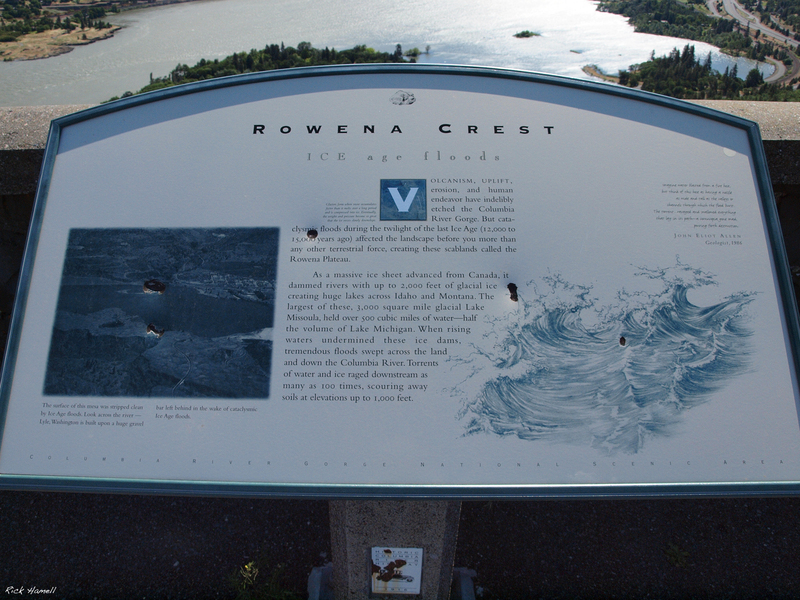 Of course any local school child knows that the Columbia River was formed via ice age floods. 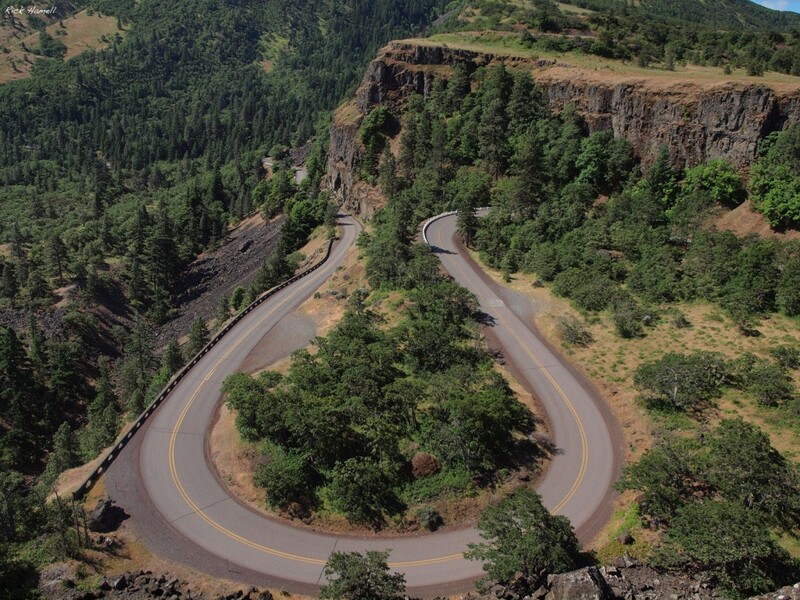 Few places along the Gorge show this off better then right here. And last, but not least, “downtown” Rowena. A few houses hidden in the trees and it looks like it’s garbage day. Definitely not a bustling metropolis any longer. A great blog. 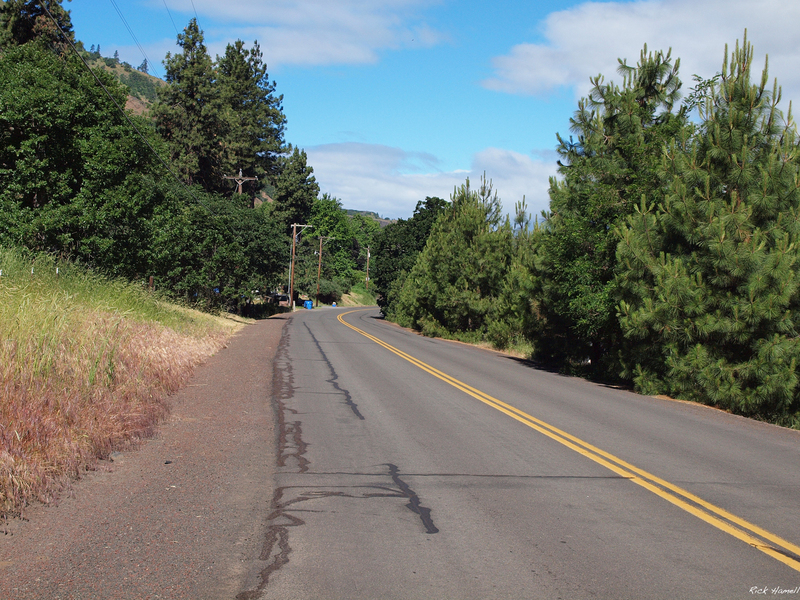 Today a fire is threatening that area….